Dental Practice In Coppell TX – Sanam Wright D.D.S. Your Coppell dentist offers a complete range of dental services with that touch of attention and personal care. Born and raised in Coppell, Dr. Wright graduated from Coppell High School. 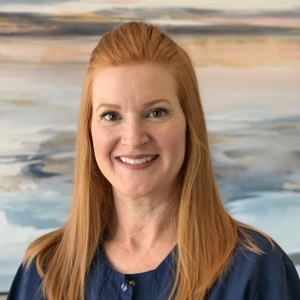 She obtained her undergraduate degree from the University of Texas at Dallas and received her dental degree from the University of Texas Health Science Center Houston Dental Branch. She lives in Coppell with her husband Alex and their 3 children. 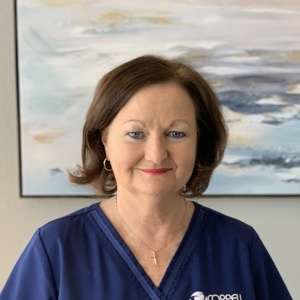 Dr. Wright has deep roots in Coppell and it has always been her mission give back to the community that she knows and loves. Dr. Wright has a true love of dentistry and is dedicated to providing you with the highest-quality dental care. Memberships: American Dental Association, Texas Dental Association & Dallas County Dental Society. Our exceptional, friendly staff is our greatest asset. They are excited about what they are doing, have high standards of quality and integrity, and are motivated to achieve the best results for our family of patients. Our dental assistant and hygienist are licensed professionals with many hours of training. The entire staff has graduated from Dr. Michael Schuster’s Center for Professional Development in Scottsdale, Arizona. Aside from three trips to Arizona, the staff regularly attends continuing education together. We’ve taken many courses at Baylor College of Dentistry’s Center for Professional Development and always attend the annual Southwest Dental Conference. We pride ourselves on staying on the cutting edge of dentistry and patient communication. Feedback from our patients about an experience in our office is always welcomed. Call or e-mail us anytime. Melanie has been licensed to practice dental hygiene since 1976. She attended Louisiana State University in Baton Rouge for three years and earned her B.S. degree in dental hygiene from Texas Women’s University. Melanie is very familiar with the dental field: her father was a dentist and her brother is a dentist. She has worked with the team since 1992. Melanie has two children, Daniel and Kristen, and a precious grandson named Jace, born in 2013. Aside from family activities, Melanie enjoys her sorority, good friends, and watching Days of Our Lives during lunch. Chanda has been in the dental field since 1998. She joined the team team in 2002 after being in the Dallas area only four days–we grabbed her up quick! Chanda moved here from Groves, Texas, and has a daughter born in 2007 and a son born in 2013. She has an excellent chair-side manner and is very caring. Our patients are very comfortable with her and confident in her abilities as an assistant. Tara joined our team in 2018 as a registered dental assistant but her bubbly personality and love for our patients quickly pulled her to help at the front. Tara has been an amazing asset to the front desk and our office. She truly cares for the patients and their needs. When not at work, you can find Tara spending quality time with her husband and family. She loves going to church, shopping, and trying out new restaurants.